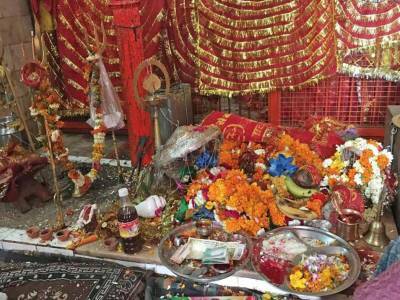 Kunjapuri Devi Temple in the godly state of Uttarakhand is one of the most pious temples in the whole of India. The mythological significance of this temple is immense as it is among the great 52 Shakti Peethas of the Hindu religion, believed to be the chakra points of primal energy of the very earth. It is believed that the Kunjapuri Devi Temple is established at the spot where the chest of Lady Sati had fallen after the cataclysmic dance of rage & sorrow of the lamenting blue lord. The scenic beauty of the Kunjapuri Devi Temple surroundings is just mesmerizing. 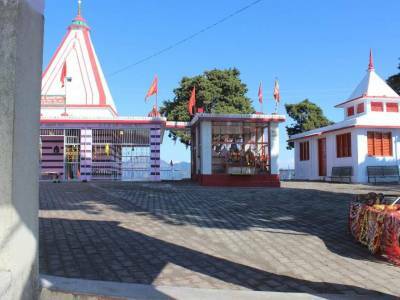 The temple is located atop a hill at an elevation of almost 1676 meters above the sea level amidst the Tehri Garhwal mountain range. The all-encompassing Himalayan Mountains & the snow covered peaks around the Kunjapuri Devi Temple are namely Gangotri, Chaukhamba, Banderpanch and Swarg Rohini. The vista presented by the Kunjapuri Devi Temple of these mountains on the backdrop of the valley is heavenly. The Kunjapuri Devi Temple is part of a sacred formation also. There are many Shakti Peethas but in the Tehri Garhwal there are 3 temples that triangulate to form the sacred triangle. The temples other than Kunjapuri Devi Temple are Surkanda Devi and Chandrabadani. 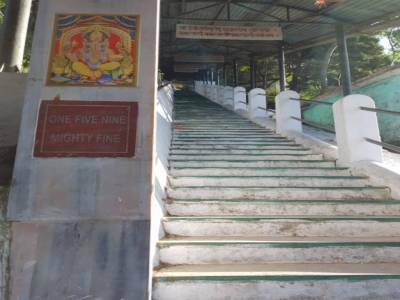 The temple complex of Kunjapuri Devi Temple is located atop a hill which is an 80 step stair travel for the pilgrims from the road below. 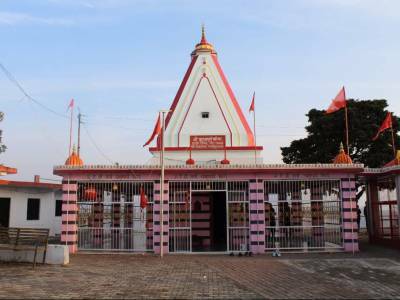 The Kunjapuri Devi Temple is easily reached from Rishikesh and Dehradun and is particularly populated during the Navaratri and Dusshera festivities. 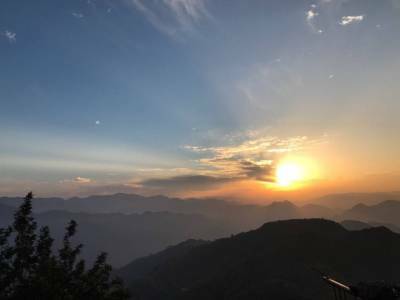 Things to do - Few nights stay in Kunjapuri, early morning for yoga and meditation, See the beautiful view of sunrise and Participate Satsangs program (traditional activity in the Indian spiritual context). Get quick answers from travelers who visit to Kunjapuri Devi Temple.